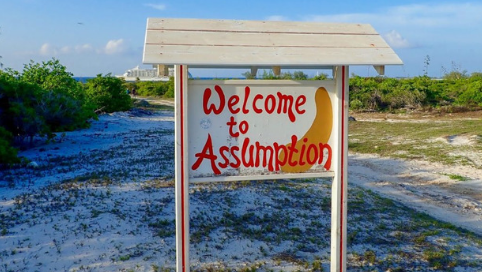 The morning we arrived at Assumption Island late Saturday, we headed straight out to snorkel. We had nice conditions and spotted a sea turtle, which was a treat. When we got back I joined a short nature walk on the island. 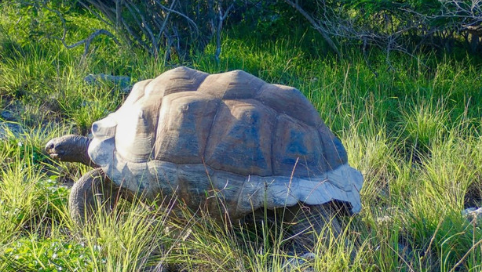 The island is home to some giant tortoises and we did come across one on our walk. He was enormous. Our guide estimated he was likely 150 to 200 years old. 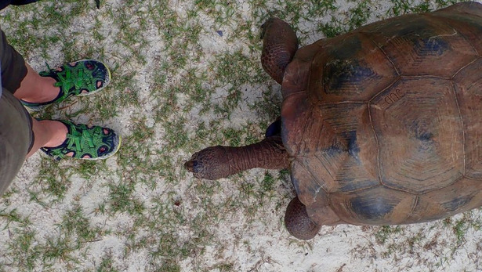 Next, we spent two days at Aldabra, anchored just off shore; it is an amazing place. 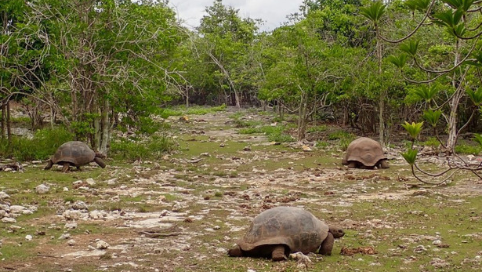 One of the largest atolls in the world, it is a protected area that is home to 100,000 of one of the last surviving species of giant tortoises. It is comprised of four separate, but closely spaced, islands surrounding a large tidal lagoon. 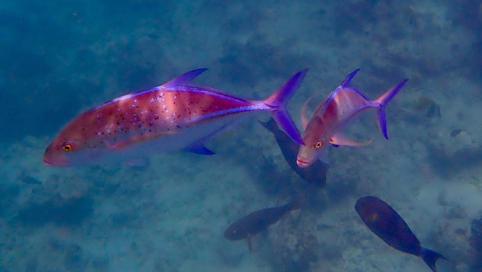 We headed out on a drift snorkel. 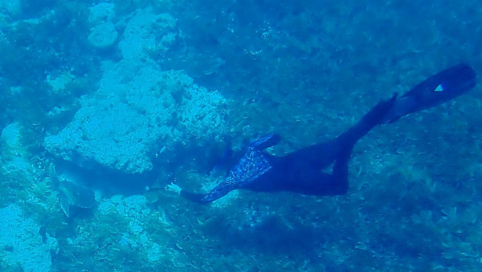 A small group of us were dropped off just inside the lagoon and we drifted out with the tide along the reef. It was wonderful. 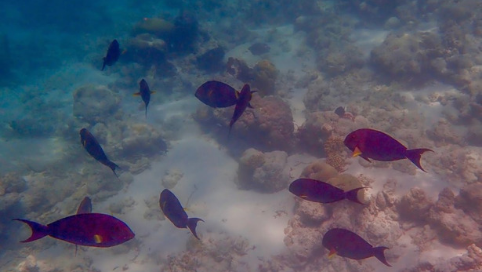 We saw tons of fish, a ray, a sea turtle and some reef sharks. During the afternoon we went ashore and were given a tour of the station and the surrounding area. 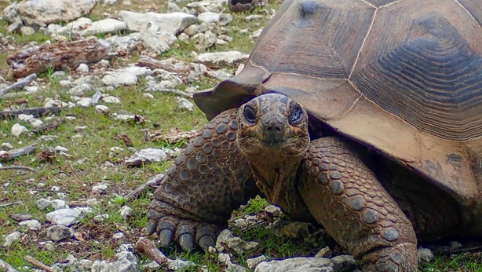 We saw at least 20 tortoises, including several smaller ones who were only 10 to 15 years old. We finished our hike along a beautiful white sand beach. The following day, we got into the zodiacs in the afternoon for some cruising around in the lagoon. We had a quiet evening and prepared for an early wake up for our last day of Expedition.